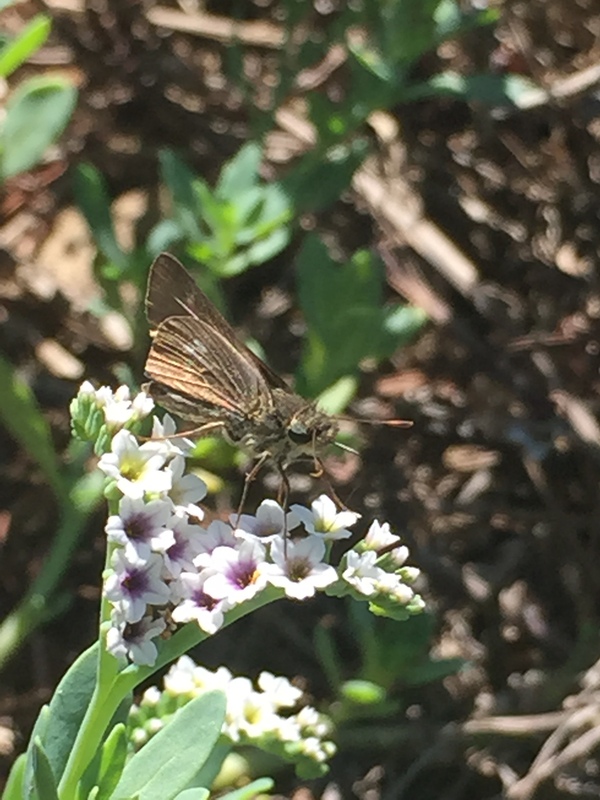 Observation notes: Skipper was feeding at Fiddleneck flowers next to trail in shoreline area of Emma Wood State Beach. Other plants nearby included salt grass and Alkali Heath flowers. Sunny morning with temps in the 80's F and light sea breezes.